This year Hollie my 8 year old daughter wouldn’t let go of the need to cover her books. To make her books beautiful, unique and a reflection of her. Already challenged by half finished under utilised school books I was not keen to add to the waste; book after book, year after year, a product to cover each of her books. 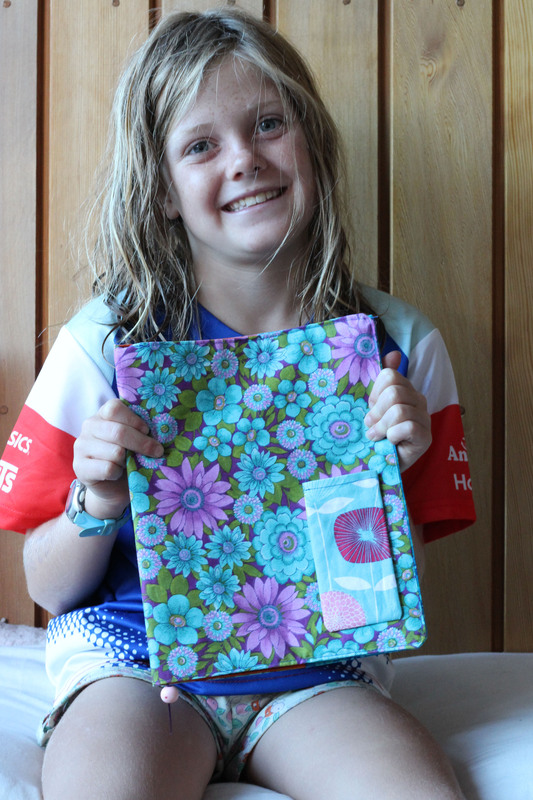 Hollie had her on eye on some sticky plastic stuff but with some discussion, understanding and compromise we decided to get creative and have a go at making material covers for her books. Hollie needed to choose a fabric that was time proof. Not a fabric she loved ‘today’ but had outgrown ‘tomorrow’. These were going to be her school book covers for as long as they lasted. We worked out that Hollie had seven school books on the go at any one time. Four- 1I5 Two- 1E8 and One- Topic book, so the goal was to make a total of seven covers. 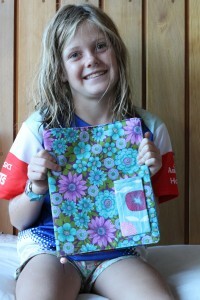 Hollie managed to do most of the process involved and sewing herself and here she is with one of her proud creations. However we didn’t quite make our goal of seven. We managed four. That leaves three for the next holidays when I am wondering how to keep them amused.